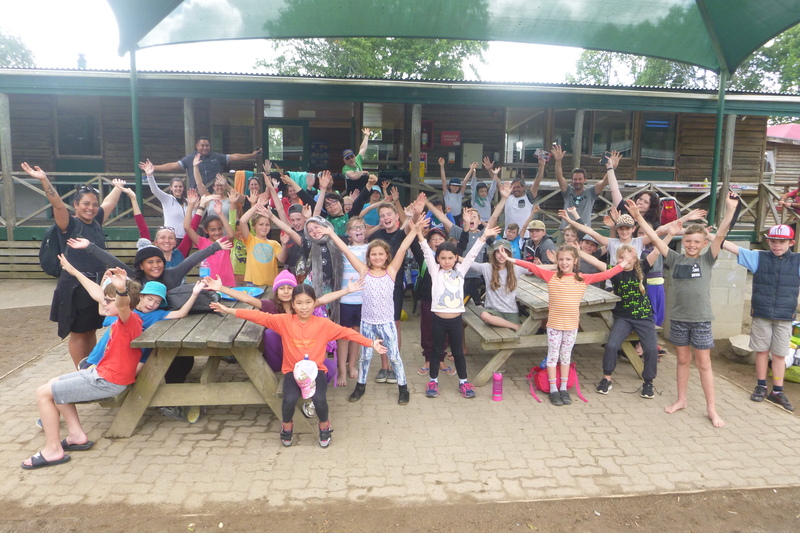 On March 12 & 13 Golden Grove School students joined Meraki Montessori School students on an overnight school camp in Hunua. The two groups met at Camp Adair for two days of team building, testing our boundaries and just plain fun! We took part in flying fox, confidence course, archery, kayaking, mudslide, orienteering, high ropes, cargo net climbing, rifles and raft building. It was a fantastic chance to spend some time together, build friendships and take part in fantastic activities. We really enjoyed sharing our camp experience with another school, it was fun to work together. The rain on Monday made some of the activities muddier and much more exciting than usual, though a bit cooler. Hot chocolates and warm meals kept us going until the evening when we played group games in the gym before turning in. On Tuesday the rain stayed away, though we got wonderfully wet during kayaking and raft building.We finished our two days away with a timed orienteering activity, where everyone got back in time and we all managed to solve our clues. In short it was a fantastic camp, with fantastic parent helpers. We are looking forward to our next camp, which is for three days in early May!